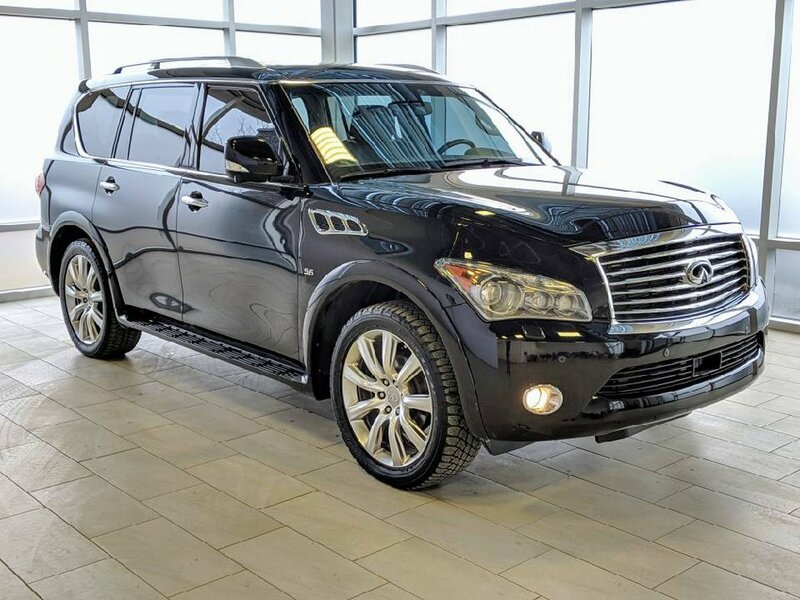 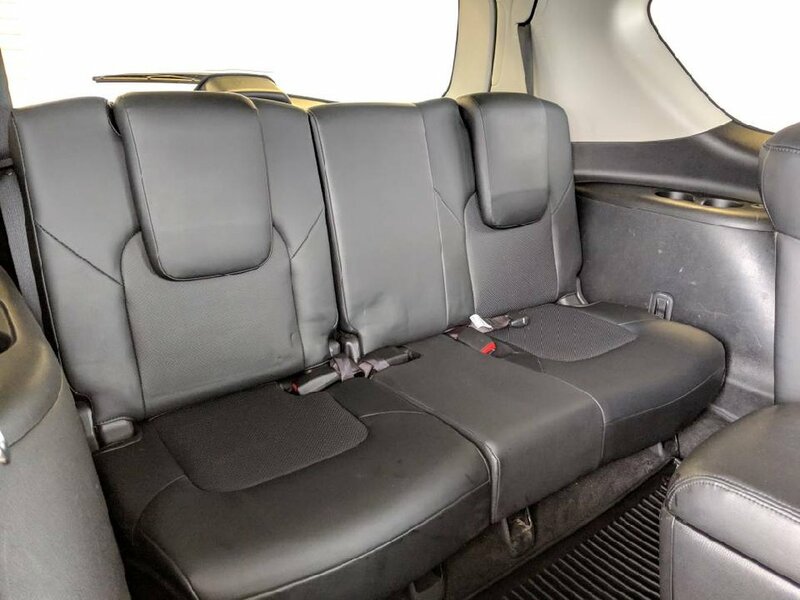 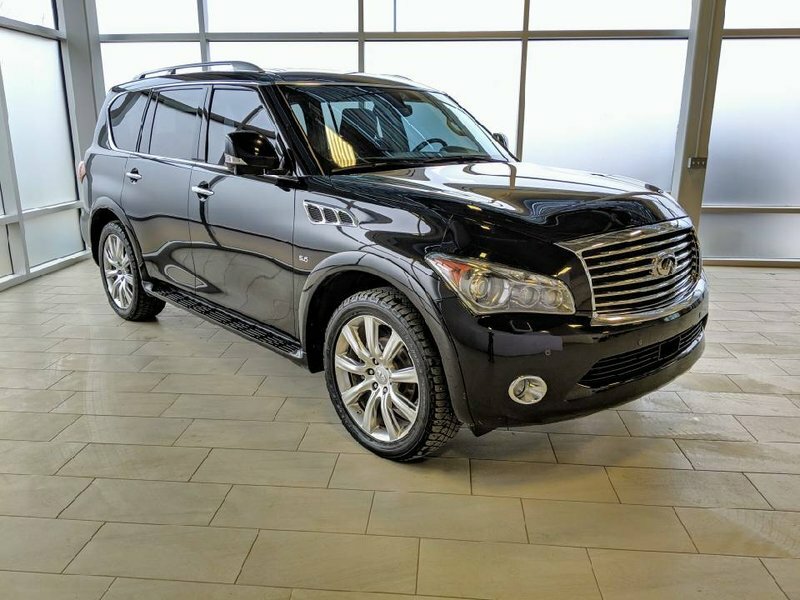 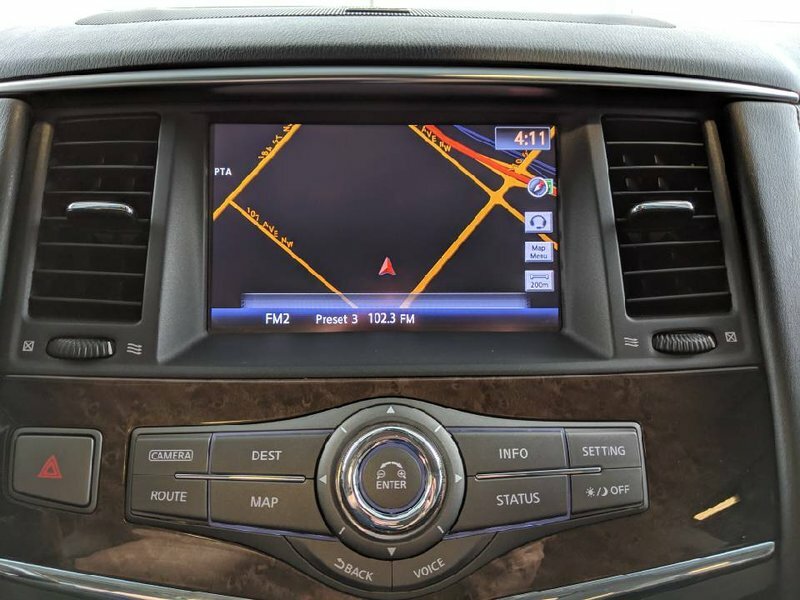 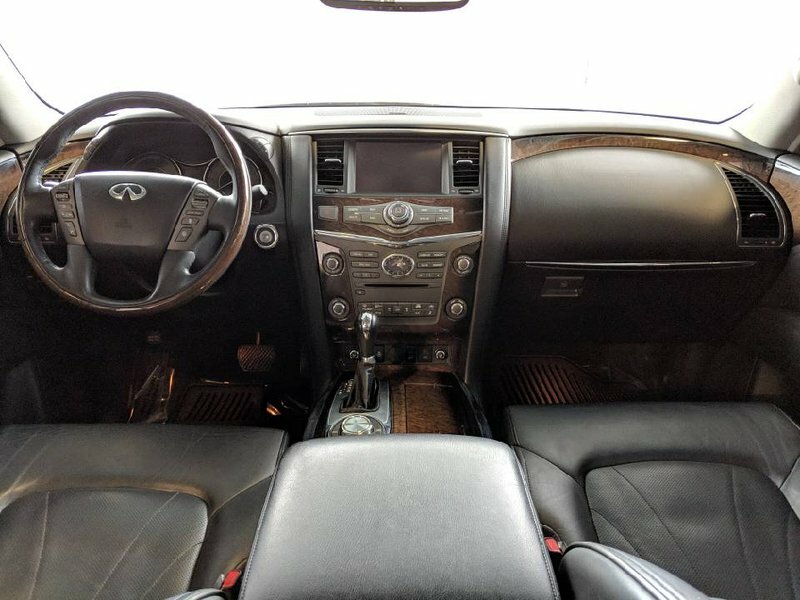 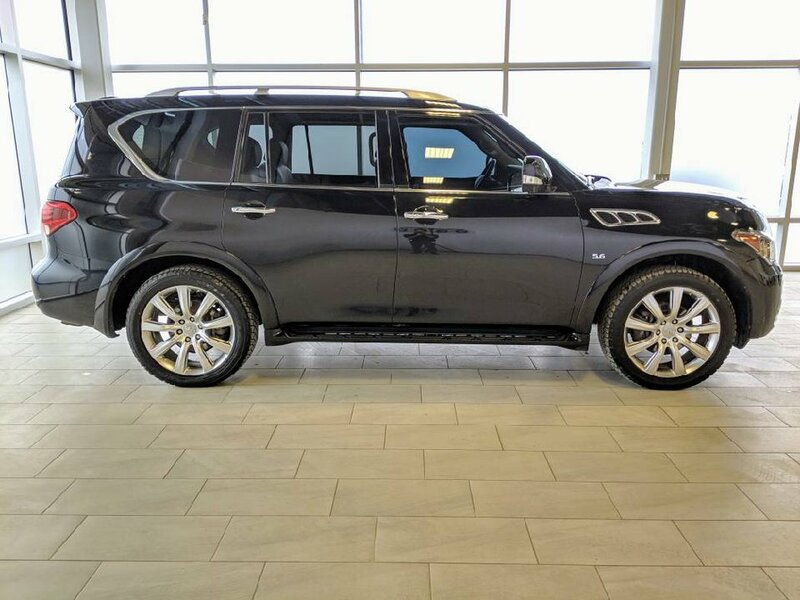 This 2014 QX80 Tech PKG is in great condition, has never been smoked in and comes with 135000kms. 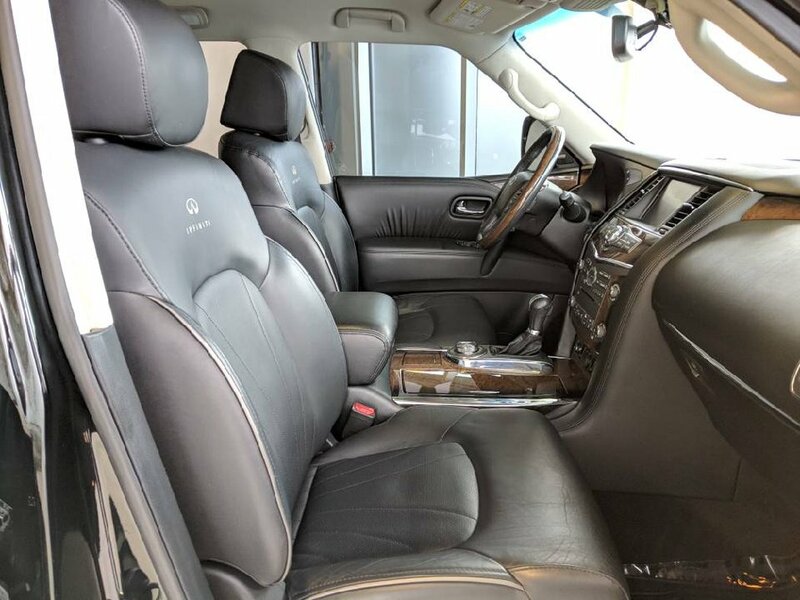 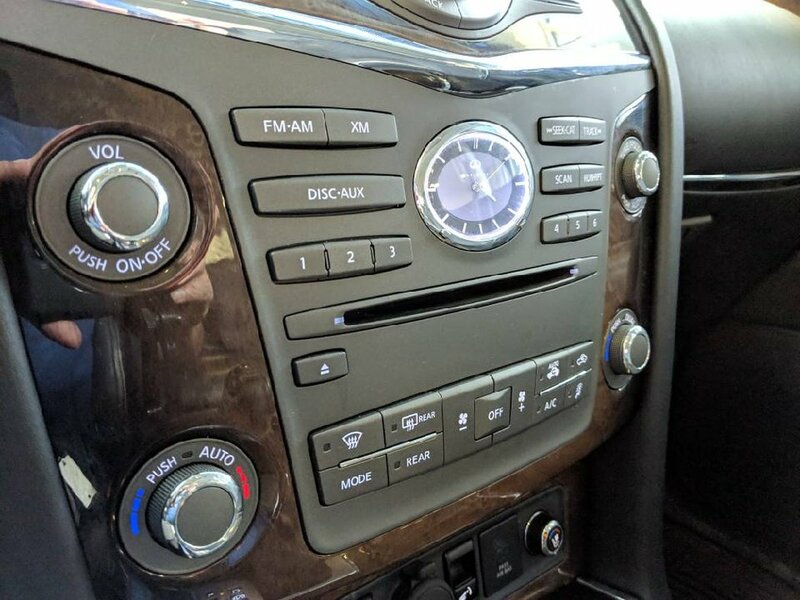 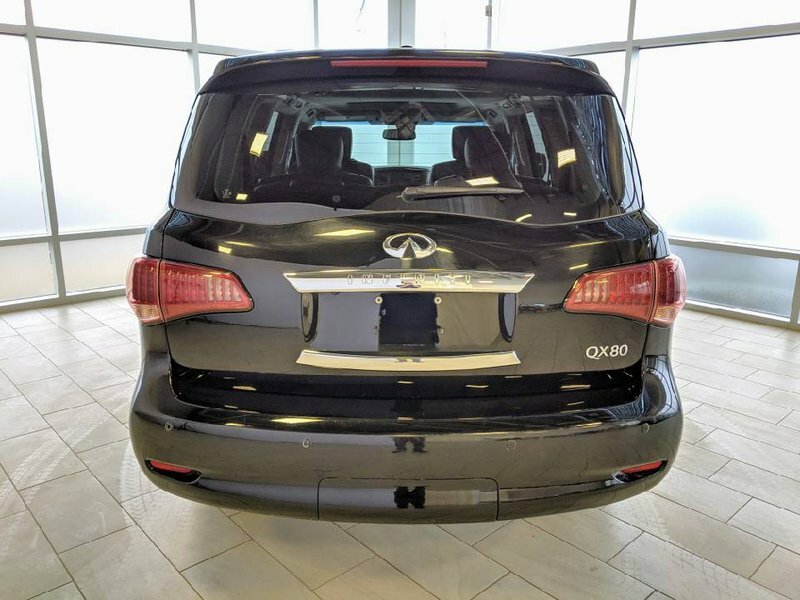 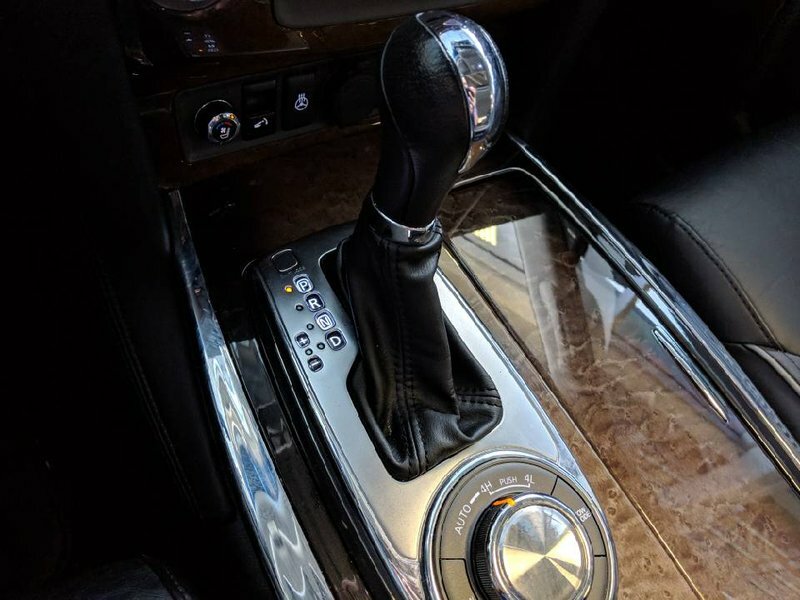 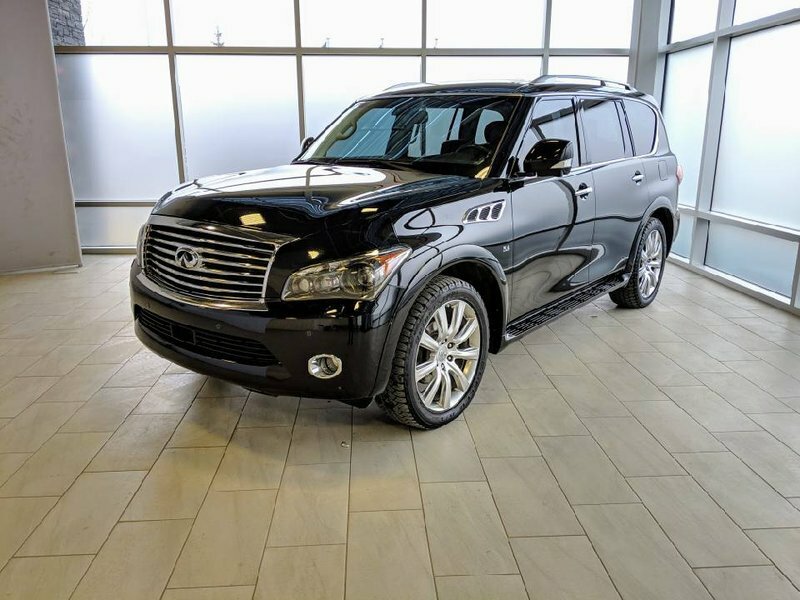 Our clients have recently traded this vehicle in for a 2019 QX80. 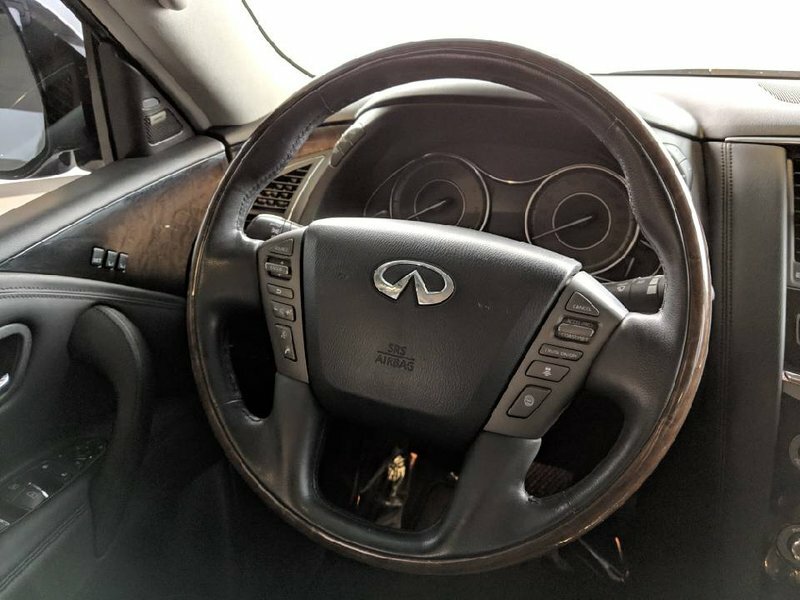 This particular crossover was always serviced at the local Infiniti dealership. 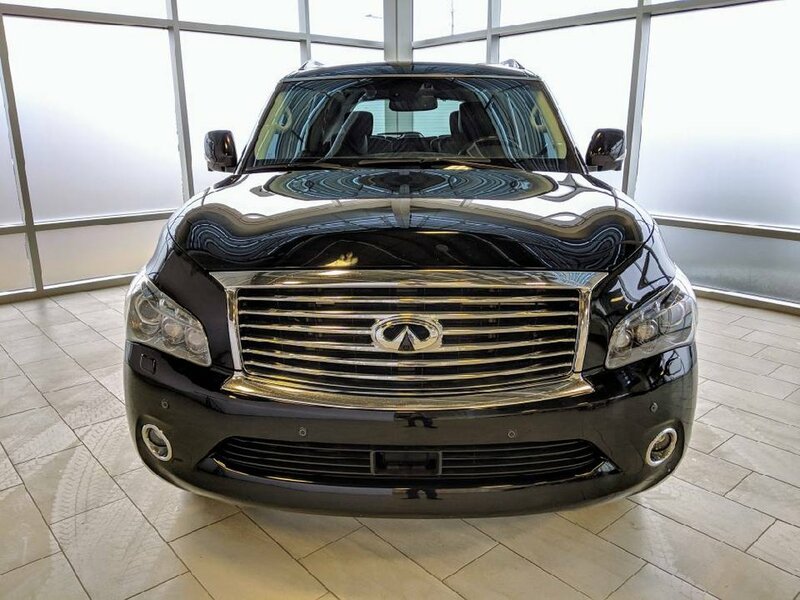 Under the hood you will find a powerful 5.6L V8 that produces 400hp! 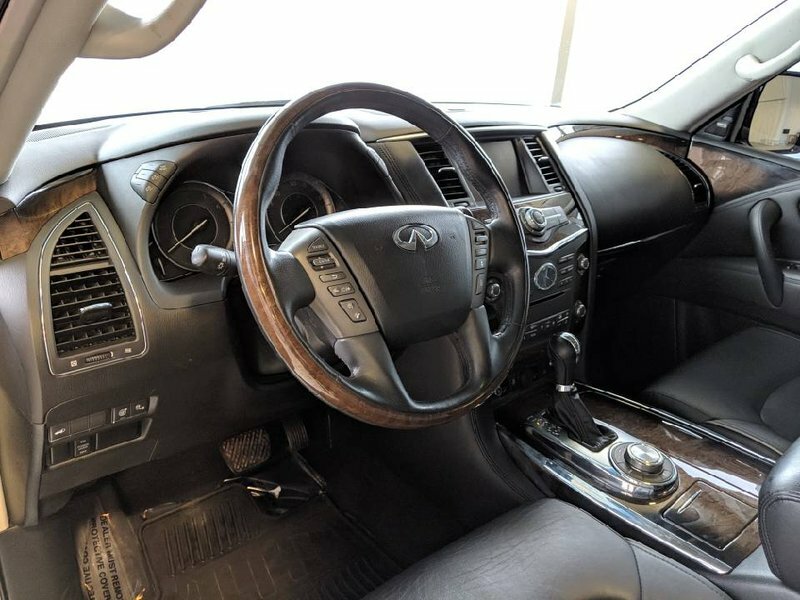 We have put the luxurious SUV through a multi point, comprehensive used vehicle safety inspection in order to ensure driving quality. 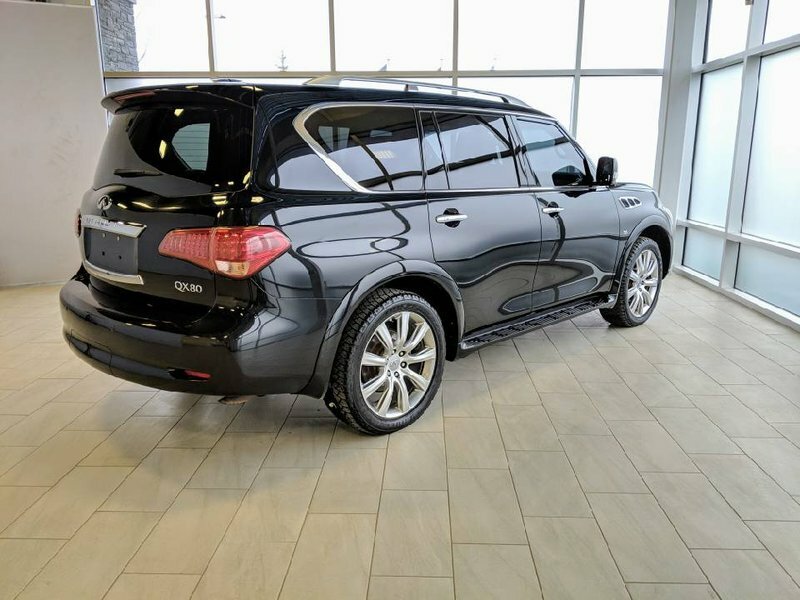 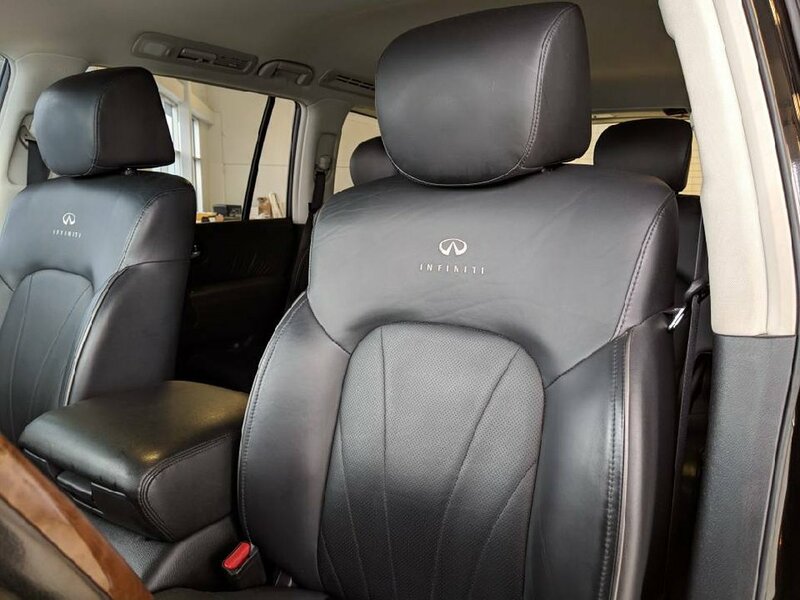 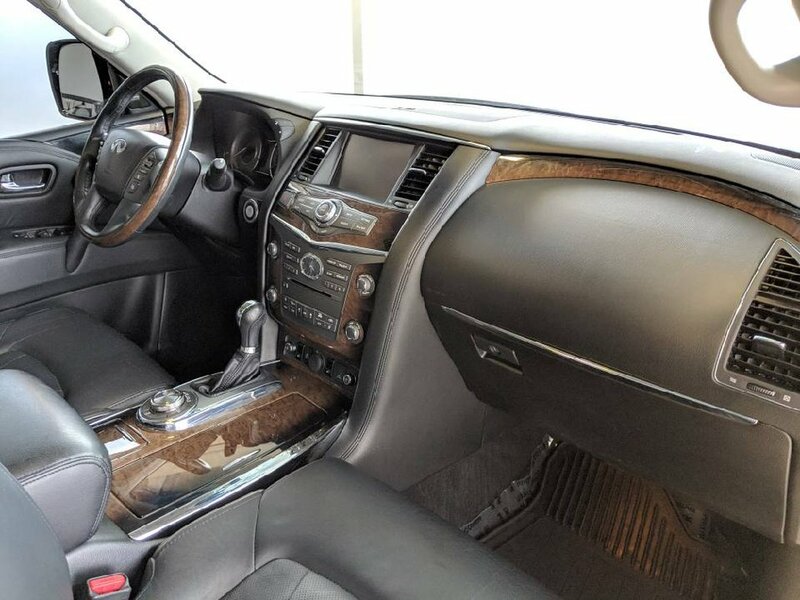 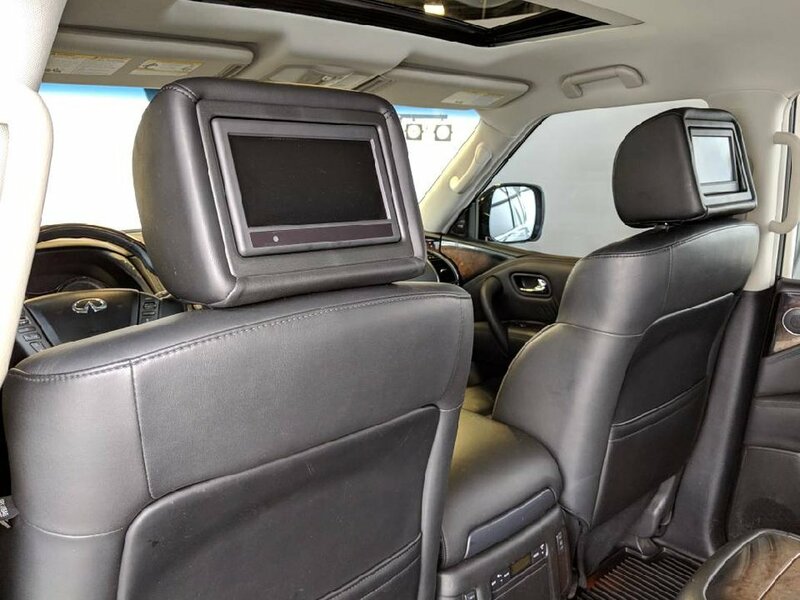 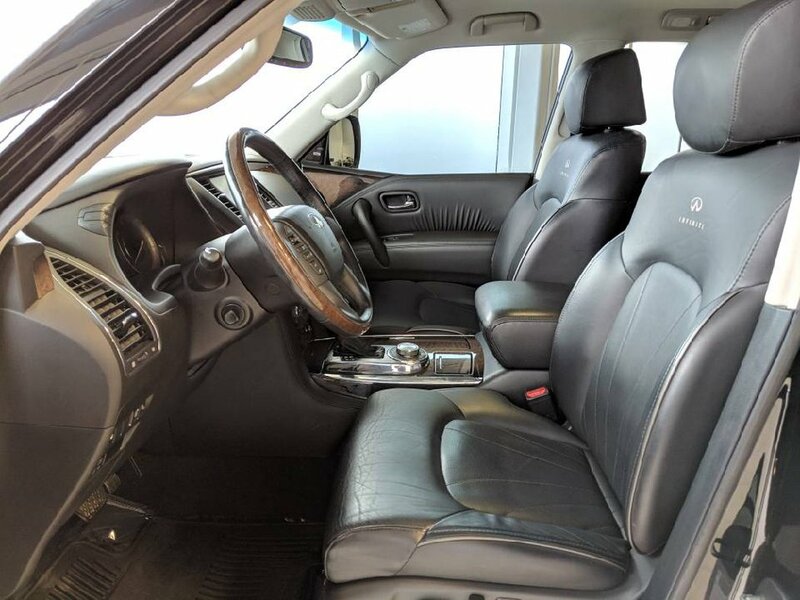 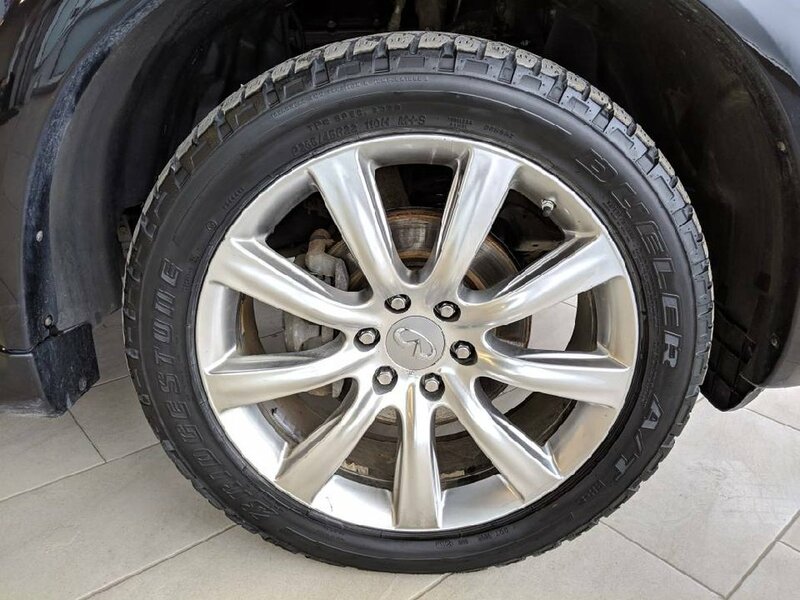 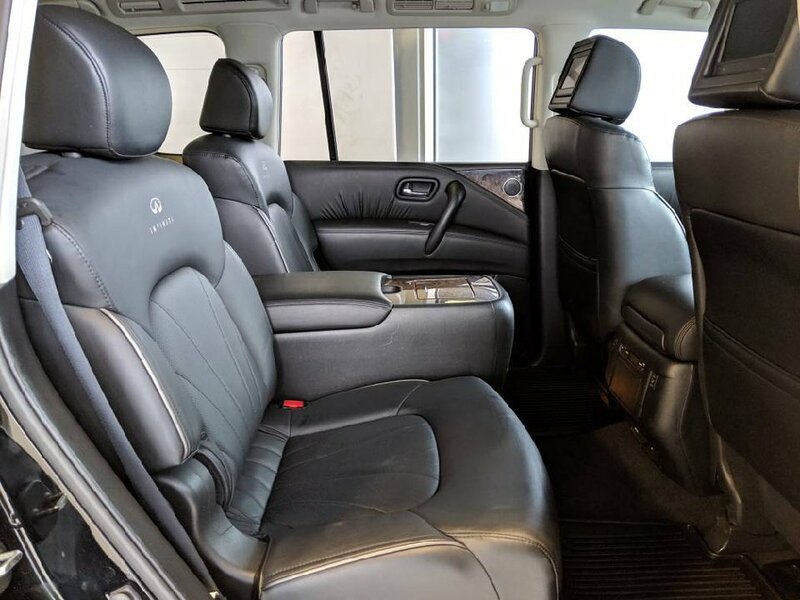 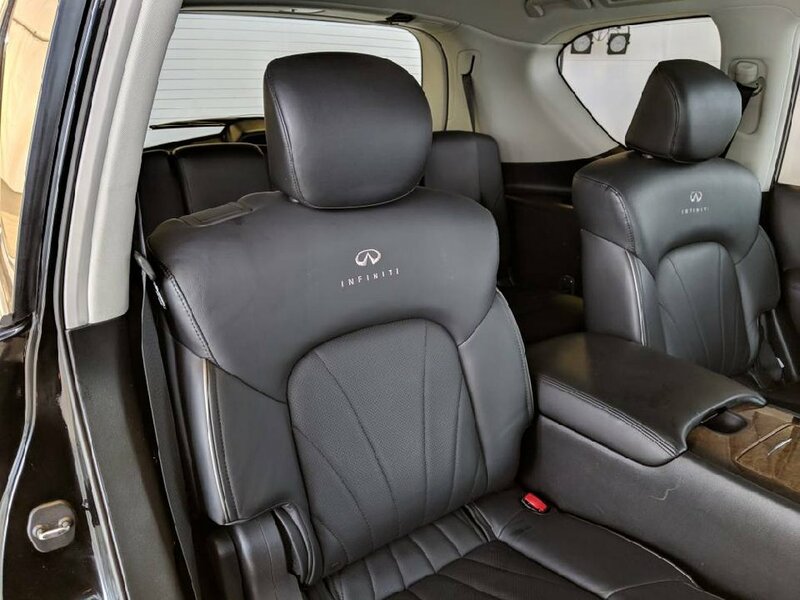 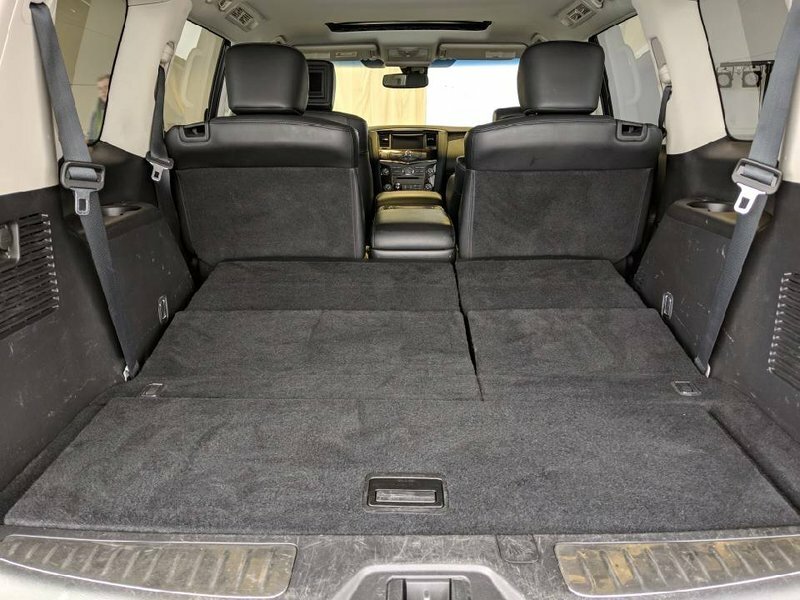 Our certified service technicians have ensured that the QX80 is in optimal driving condition and is more than ready for its next proud owners! 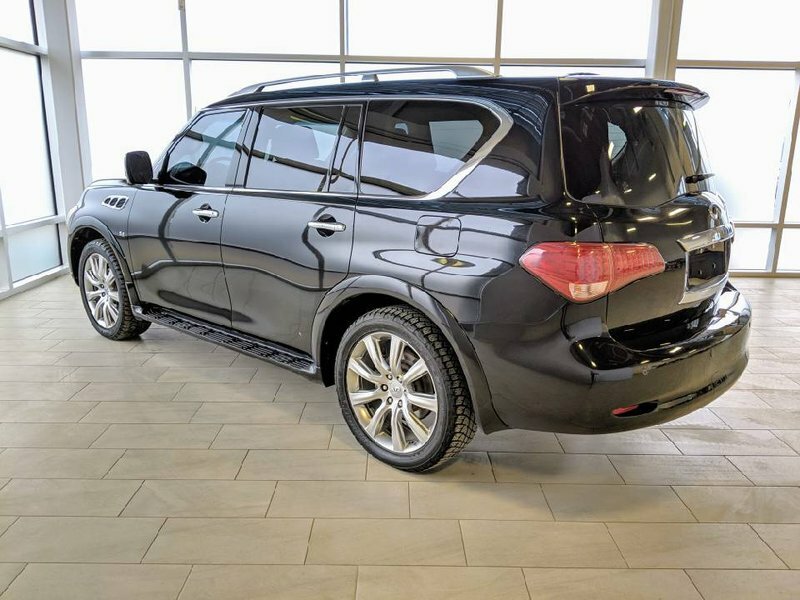 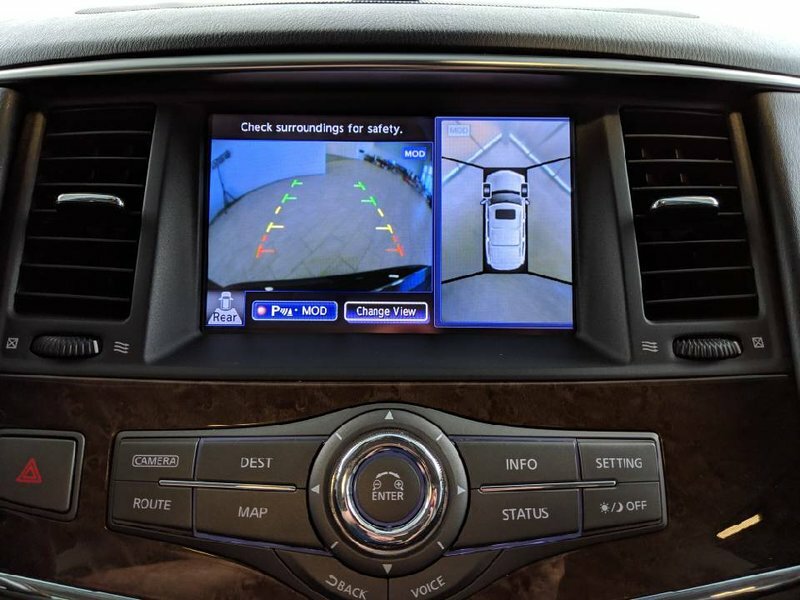 Some of the features in the 2014 model include seating for 8 people, lane departure prevention and warning, blind spot intervention and warning, distance control assist, intelligent brake assist and much more.